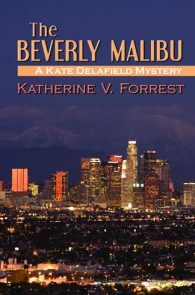 Tough and demanding LAPD Detective Kate Delafield is the leader of the investigation into a highrise office building murder. 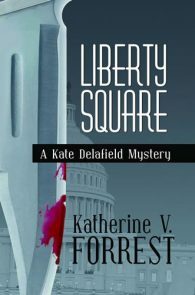 The case is intriguing but routine—until Kate interviews the only witness, Ellen O’Neil. 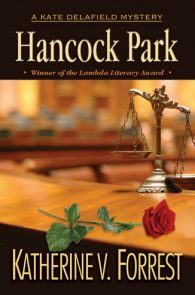 When Ellen O’Neil took her new job over the objections of her lover, she wasn’t expecting to become embroiled in murder. 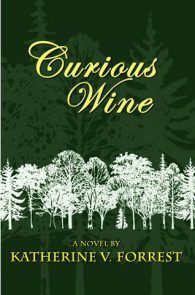 The curiosity that Kate Delafield rouses is equally unexpected. 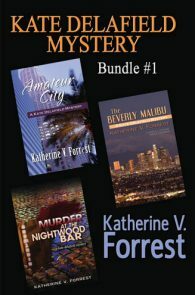 But it is never far from Ellen’s mind that she is merely a name on an interview sheet to the tight-lipped detective. 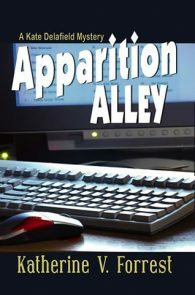 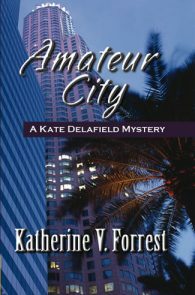 Kate’s thin trail of clues are enough to convince her that she is looking for an amateur, and amateurs are notoriously unpredictable and dangerous. 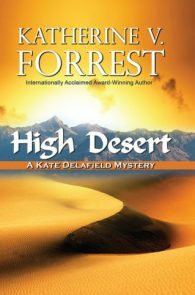 She finds her path increasingly intersecting with that of Ellen O’Neil, who is proving unpredictable and dangerous in a far more personal way. AMATEUR CITY is the first novel in the compelling Kate Delafield mystery series that has gripped readers all over the world. 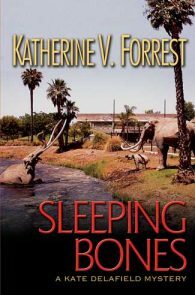 Originally published by Naiad Press 1984. 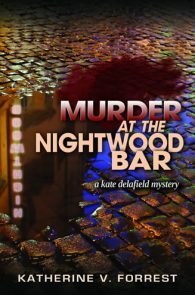 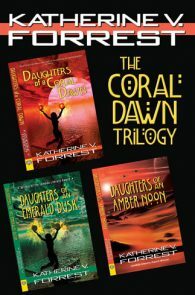 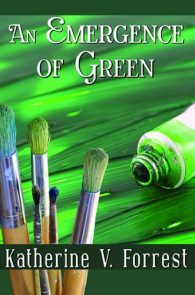 The first book of the sensational Kate Delafield mysteries. 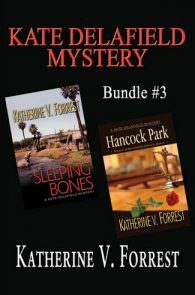 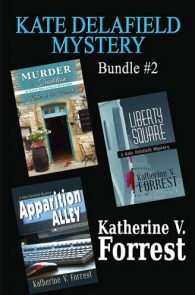 It's Katherine V. Forrest, along with fellow trendsetters like Sandra Scoppettone, Ellen Hart, Jean Redmann, and Randye Lordon,who have defined and expanded the limits of the lesbian mystery.